The officers were conducting a security check of the businesses in the strip mall and had parked in front of the store. Officer Wilson went into the store to conduct the security check and to buy a video game for one of his sons. While he was inside two brothers entered the store and announced a robbery, not noticing Officer Wilson's presence or the patrol car parked out front. 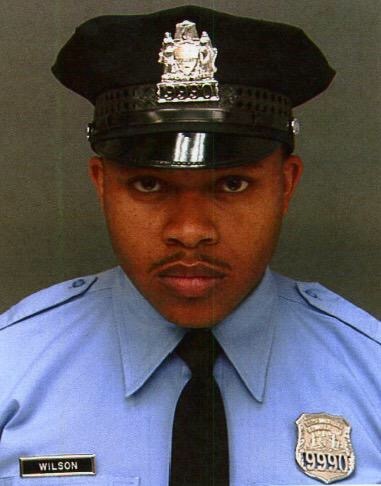 Officer Wilson had served with the Philadelphia Police Department for eight years. 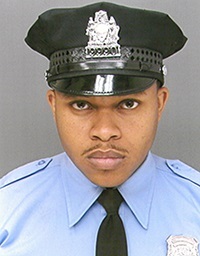 He was posthumously promoted to the rank of Sergeant. He is survived by his wife and two young sons. 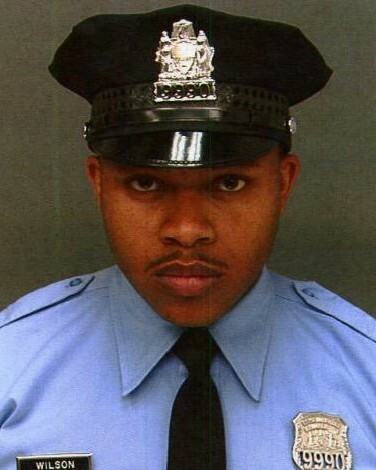 I remember feeling completely heartbroken when I heard Sergeant Wilson's story on the news. I wished I could have hugged his family and told them what a hero he was. May he rest peacefully always. Although I didn't know him, I count him as one of the most courageous, selfless men to walk this over. Bless you, sir. You aren't forgotten.